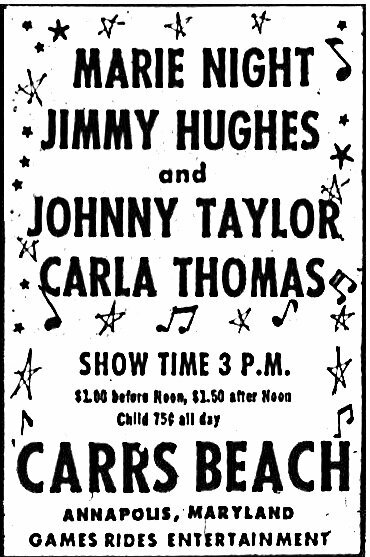 I posted up a show ad for Carr's Beach in the Jerry O book thread … but I thought it might be an opportune time to shed a bit more light on this 'black' 50's / 60's venue. In it's time, it attracted all the top doo wop / jazz / gospel / blues & soul acts. Some of the shows from there were broadcast live by 2 local radio stns (though I doubt recordings of any of those shows still exist). The booking agent for the venues for many years (to the mid 60's) was Ru-Jac owner Rufus Mitchell. Coz of this, lots of his acts (& other Balto acts such as Kenny Hamber) got to play the venue -- though most times they were last minute additions to the bill as an opening act. Coz of this, they rarely made it onto the ads for the shows there. All the shows were staged on weekends (or public holiday days) & they were only staged (of course) in the summer season. 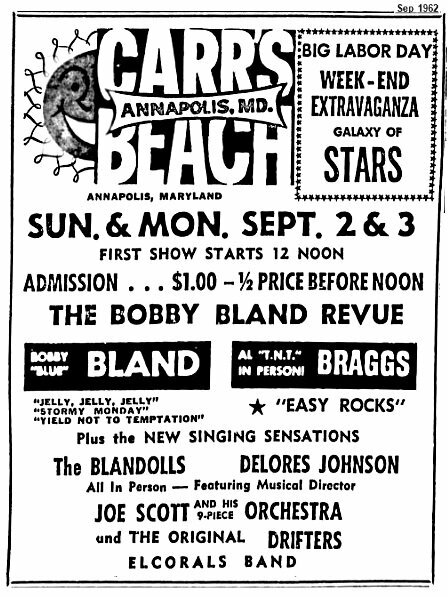 When segregation came to the Baltimore / Maryland area, local blacks went off to spend time on previously 'white beaches' and Carr's Beach (+ the similar Sparrow's Beach) died a death. Very little remains (on the ground) these days to commemorate what happened there back in time …. 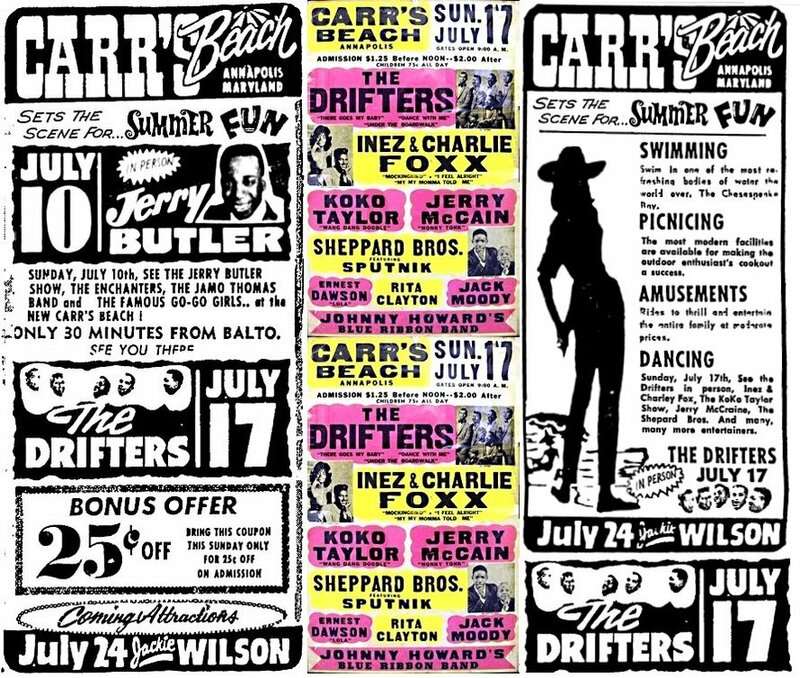 most of the ads on display are from July 66 (the Tom & Jerrio ad I posted on the other thread was from 65). 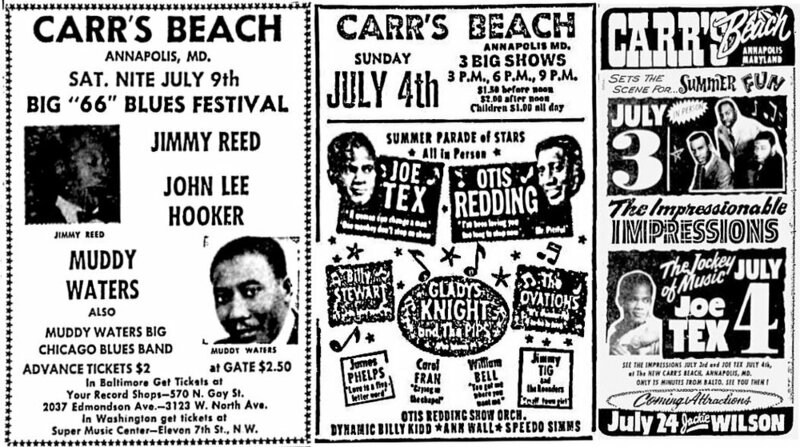 But top acts appeared almost every weekend from the mid 50's thru to the late 60's. If anyone has a particular interest in the venue, they could do worse than get a copy of my Kenny Hamber book which covers the shows in detail. 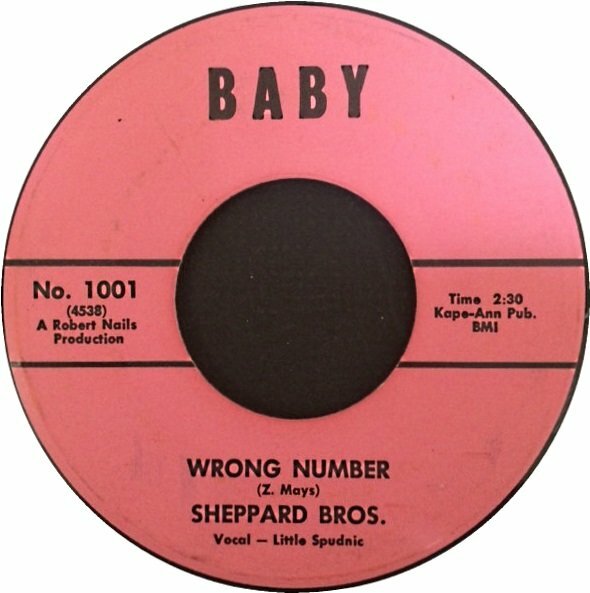 The Sheppard Bros & Sputnik outfit (who were on with the Drifters) sound like a Jackson 5 type outfit … their 45 is obviously from around the mid 60's, anyone know when they formed ?? 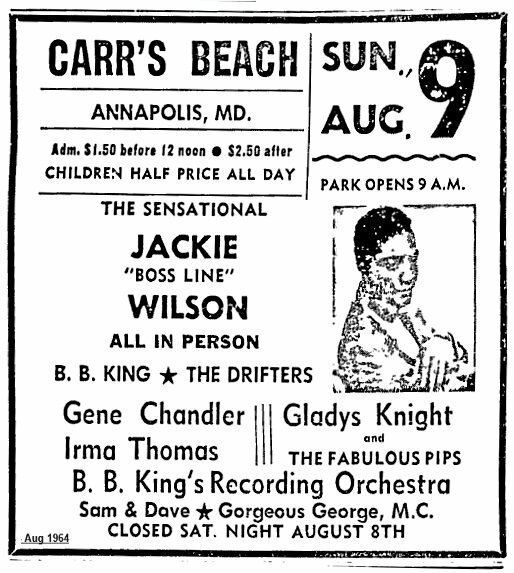 Some shows staged there in 62/63 … $1 admission before noon (or 50c for some shows), who'd pay that much ?? Show from 65 & another from 62 (Bobby Bland should have picked a better name for his femme backing singer group) ….